Sometimes, you just want to strip things back to the basics. Unfortunately, life really doesn’t seem to work that way, instead only getting more complicated with time. Growing old makes one long for simpler times, as cliche as this may be. Lately, I have felt as though I am constantly in ‘fight or flight’ mode, trapped by circumstances beyond my control and to which I can only react. I have been trying to make the best of it and to focus on what I can do, but it is hard not to worry and fret about the things beyond my reach or influence. Hence, back to basics this weekend for me, and focusing my energy on even mundane things that keep me centered. I need to fight my tendency to look at things from too many angles and just pare things down. College was my first time away from home and also my first time being truly away from the comfort foods of my mother’s and grandmother’s kitchen. 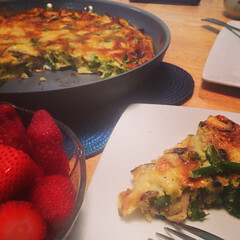 There were times when I really did not find anything appealing to eat in the dining halls … and since I felt guilty eating out when I already had a meal plan and didn’t really have the funds to be doing so all the time, I had to figure out other ways to adapt. One of them was by simply steaming tofu with a little soy sauce, scallion, and sesame oil, which were readily available at the very consistent (and boring) salad bar. 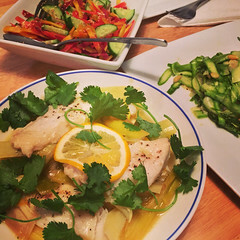 J claims to have taught his cousin Nancy this ‘dish,’ but I think anyone with Asian roots would have thought to put these ingredients together instead of eating raw, naked tofu on a pile of lettuce. Regardless, it was a tasty, easy, and basic combination that tasted of home, evidently for all of us! 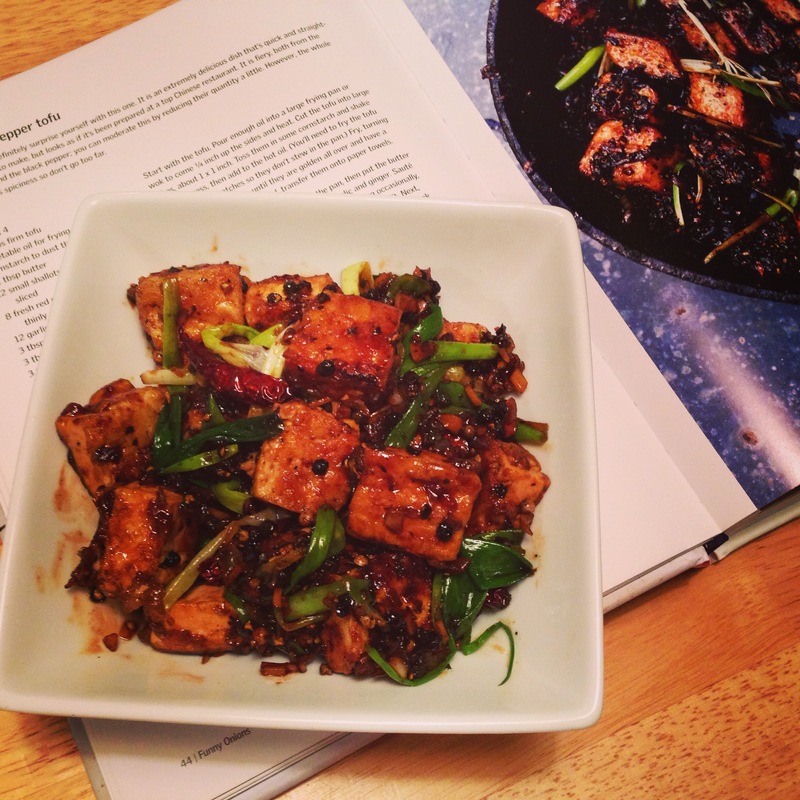 I have since prepared tofu many different ways beyond this basic preparation, and a day like today called for comfort food. 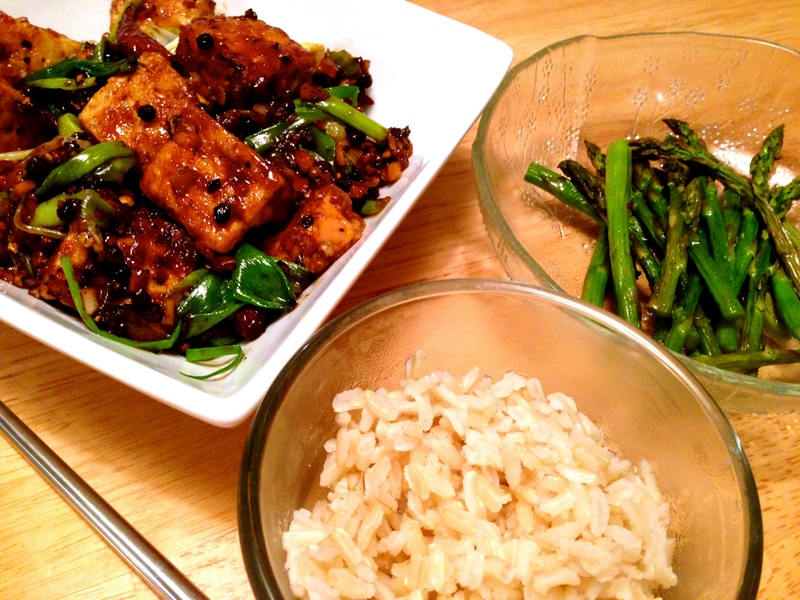 Enter: steamed fragrant jasmine rice, stir-fried seasonal sugar snap peas with ginger and garlic, and this robustly-flavored tofu dish: Black Pepper Tofu. 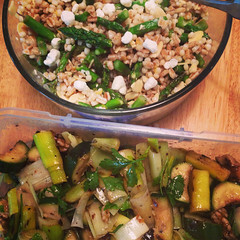 A riff on a familiar dish, inspired by none other than Ottolenghi. 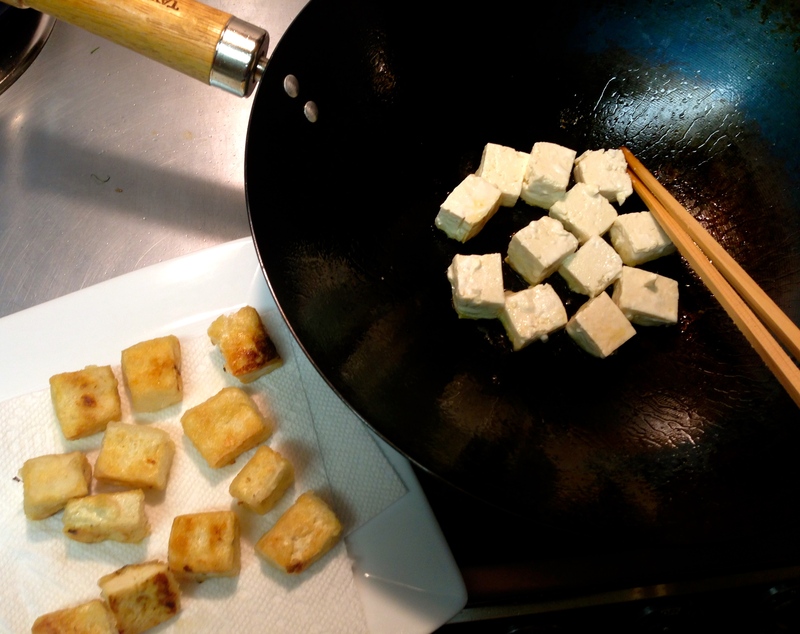 Cut tofu into 1 inch square cubes. Toss tofu with cornstarch to coat, shaking off excess. Drain remaining oil and wipe out the wok. Add 1 tbl oil to the wok over medium heat. Add shallots, chiles, garlic, and ginger. Stir-fry, stirring occasionally until the aromatics become softened and fragrant. Add soy sauces and sugar and stir, and then add the crushed black pepper. Adjust seasoning to taste. Add the tofu to warm it up in the sauce for about 1 min. Stir in the green onions, and drizzle with a few drops of sesame oil, if using. 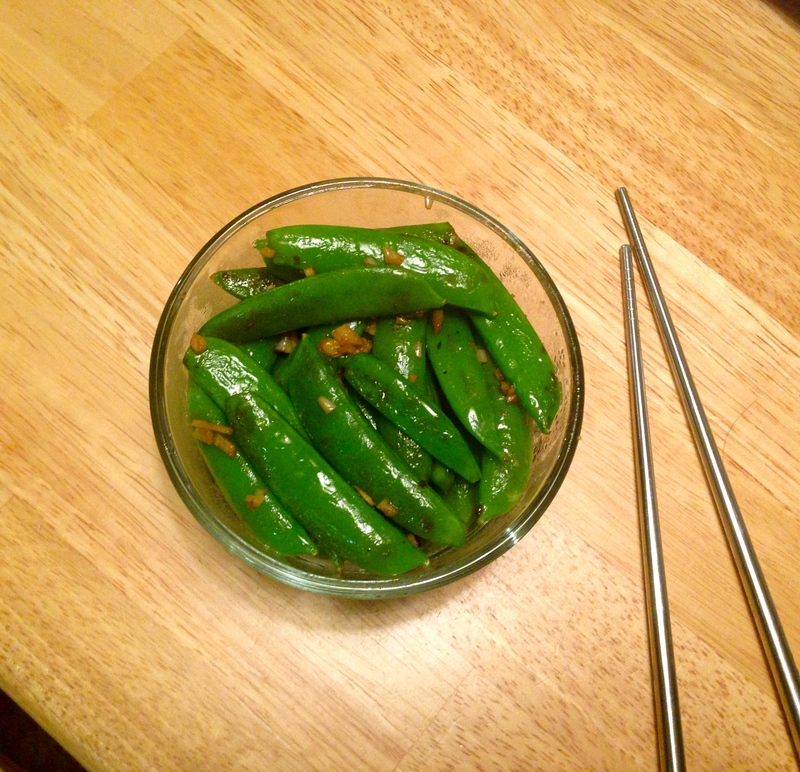 Serve hot with steamed rice.